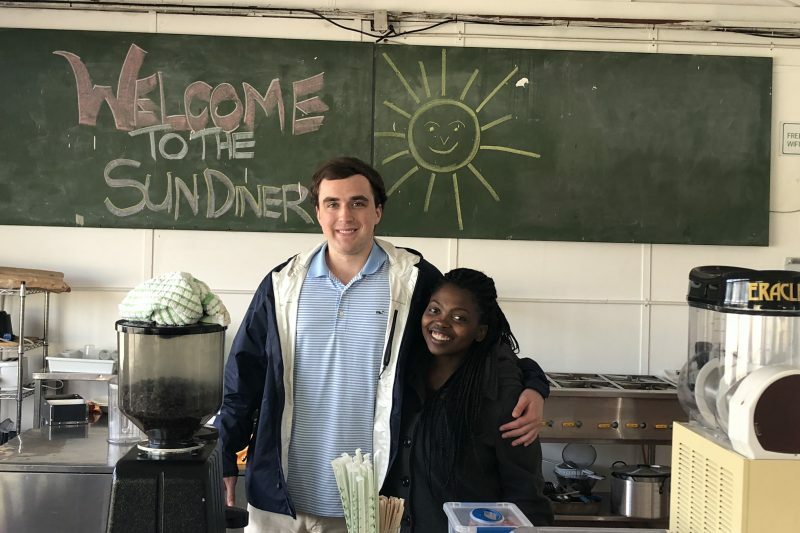 ‘Passionate and Prepared’ Working in South Africa gave Will Hardage '20 a chance to combine his economics major and his poverty studies minor. You worked with the nonprofit iKhaya le Langa in Cape Town, South Africa this summer. What did you do there? There are a lot of cool economic development projects and social initiatives going on right now at iKhaya le Langa. At the beginning of the summer, I was given the chance to dabble my feet in all the projects being undertaken, from our job readiness program to research on hunger and unemployment in the community. At first, I was really inspired by this new cryptocurrency we’re helping implement within the township. It’s called Project UBU and it helps alleviate poverty by reducing economic inefficiencies such as food waste while providing a universal basic income, which adds liquidity to the currency-deficient township. A project like this is really a huge undertaking, as you have to go door-to-door within the entire township. I decided to pivot my time working in the Langa Township to a project where I could really make a tangible difference. Tell us more about that work. Over the course of the summer, I developed a website which will directly increase all commerce in Langa Township, the oldest historically black township in the Western Cape. The majority of the funding for iKhaya le Langa’s social initiative and development programs comes from an in-house tourism agency. This agency is run by members of the organization, and it coordinates with different community groups such as Langa’s apartheid museum and the local AirBnb owners that were trained at iKhaya le Langa. Currently, the only way to book a tour is through DMOs or direct contact. However, the website will showcase the cultural offerings in Langa available to a potential tourist while also offering an e-commerce portal to easily handle bookings. As tourism increases in Langa, more capital will be spent within the community, which will foster job creation and infrastructure development. 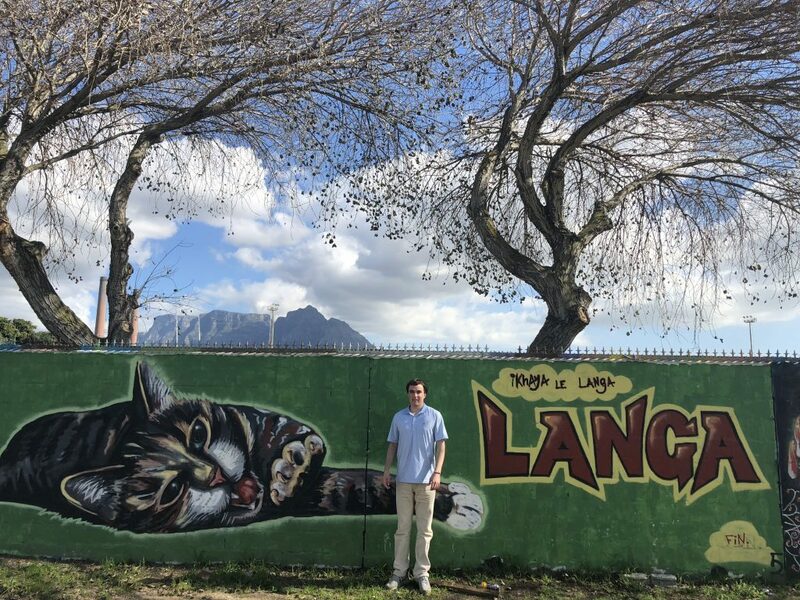 The Langa Township is truly a beautiful and safe cultural destination with a fascinating history; however, the community has kind of been exiled due to Apartheid-era urban planning. I believe it’s only a matter of time until the potential of this township will be realized. The second website I worked to develop is called The Langa Development Forum. While Langa is part of greater Cape Town, the township has no formal government or institution that coordinates commerce and events within the community. A lot of investors have been wanting to develop the community; however, there is no central institution that can speak on behalf of the people. Thus, different factions within the community end up fighting for funding. I added capabilities to the website that will allow people to register their business and showcase their events to the community. When the website gets rolling, I’m going to work with future interns at iKhaya le Langa to help further formalize this institution. Hopefully, one day the Langa Development Forum will be a platform that extensively benefits the community through economic and financial means. What made you want to work with the iKhaya le Langa? My POV 101 class really opened my eyes to the needs of the world and how, oftentimes, we live in a bubble and become rather ignorant to global issues. I wrote my final paper on Peter Singer’s “effective altruism,” which basically uses economics, philosophy and math to prioritize charities, lifesaving treatments and other actions. One of my takeaways from this paper was that I would be able to make significant impact with an organization in a second- or third-world country. I also felt that this was a really good time in my life to immerse myself in an extremely foreign destination, and both the William’s School and Shepherd Program offered opportunities that I could not pass up. Both the W&L Cape Town Program and the Shepherd Program utilize a third-party agency called Connect123. They have deep connections with the broader Cape Town community, and they were able to find an internship that matched my personality and academic interests while fulfilling the requirements of the Shepherd Program. I tried to spend the majority of my day working on one of my two websites, however, Langa has a really limited WiFi infrastructure. When the internet was down, I usually ended up wearing a variety of hats. Some days I was out in the community buying art for our local shop. Other days I helped other interns with their projects. After a Fulbright Scholar left, I completed maintenance on some of the projects that she started. What was your favorite part of being in South Africa? I love South Africa because there’s so much cultural diversity. Outside of Cape Town, there’s a huge French Huguenot wine making community. The town of Franschoek was able to put together a massive festival for Bastille Day, and a couple friends and I were able to celebrate French heritage and culture. At the same time, there is also a major Malay and Indian population, so it’s really easy to find some great curry. Both these cultures somewhat seamlessly integrate themselves with the dominant Xhosa and Afrikaans culture. What is the most interesting knowledge you picked up while doing this work? I learned that in many foreign countries jobs are not going to be handed to you on a silver plate. In the United States, I think we often take our educational and employment opportunities for granted. In South Africa, 50 percent of people who start K-12 do not finish. The employment rate also hovers near 30 percent. All the staff members at my work did not receive a salary. They’re simply gaining relevant experience and buying into iKhaya le Langa’s vision. Do you think pairing majors in economics and poverty studies gives you a special skill set or perspective that you might otherwise not have had? Yes, 100 percent. A solid background in economics and poverty studies allowed me to analyze inequality in South Africa on a much deeper level. A lot of the W&L economics electives are purposely integrated with the Shepherd Program, which gives us students the ability to see the inner workings of a system that often perpetuates poverty. For example, in Urban Economics we analyzed historical failures of urban planning for public housing throughout the United States. These analytical tools became increasingly relevant in understanding Langa. A lot of the economic inefficiencies in the township were created by ingenious Apartheid-era urban planners and are pretty discreet. A background in urban economics allowed me to play detective and uncover the truths to why poverty persists just streets away from booming parts of greater Cape Town. You stayed really busy with work – but you took a class, as well! What topics and coursework were involved in that? Every Monday we took a really interesting politics class co-taught by Prof. LeBlanc and Mattias Kroenke, a University of Cape Town professor. It was really not your typical politics class. We learned a lot about the history of Apartheid, government corruption, service delivery to the poor, and the current political climate. The class perfectly intersected the fields of history, politics and economics, which gave us the perfect background to understand the country we were working in. 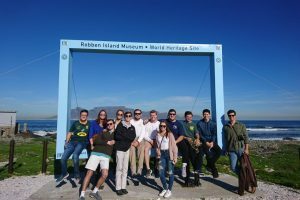 On Monday afternoons, we had the opportunity to visit a ton of different Cape Town institutions such as the Government of the Western Cape and the Robbin Island Museum. Did your experience this summer impact your future plans in any way? For sure. I originally wanted to pursue a career in finance, but now I feel a lot more passionate and prepared to solve complex problems in our society, whether it be through public policy or business. The Shepherd Program and Fran Elrod were really helpful. They prepared me for my internship through a ton of different readings and lectures. The Cape Town Program also provides a history class during the Winter Term, so I had a really good foundation before I arrived. The Williams School also sponsored a “braai” with John Campbell, Former U.S. Ambassador to Nigeria. Ambassador Campbell spent extensive time working in South Africa for the State Department during the transition from apartheid to majority rule. He was really helpful and allowed me to understand South Africa on a deeper level. I’d really recommend an international immersion or Shepherd Internship to all W&L students. We often get caught up in the flow of things and have tunnel vision on a certain type of career or field. It’s important to take a step back for a semester or summer in order to really understand your true strengths and passions. I played on the tennis team freshman year, but this year I got a lot more involved in community service at Lylburn Downing and Project Horizon. I’m also heavily involved in L.E.A.D., the Alpha Phi Omega service organization, Campus Kitchen and Neighbors Service League. I love learning more about how the world works. When I’m in the thick of making graphs I often regret choosing economics; however, the research papers and electives are super rewarding for me. Professor Erin Taylor’s lectures in POV 101 really ignited my interest in public policy and philosophy. As a philosophy professor, she always made me take a step back and question the status quo. I was actually so intrigued by her lectures that I enrolled in Medical Ethics without any real interest in medicine; however, the class still ended up being really beneficial. Professor Amanda Bower is also super inspiring. In our Spring Term class, we did consulting for JetBlue, and she brought this problem-solving energy that has carried me throughout my internship. I get the Blue Sky from Blue Sky with a Blue Sky Square at least once a week. What one film do you recommend to everyone? Walmart is far. Winter is also cold. Anyone’s guess, but definitely something involving strategy. Spring Term class trip to Universal Studios and Disneyland; however, 6 a.m. tennis practices are a close second. Creative Strategic Planning or POV 101. I have a pet cockatiel named Sméagol. Small class sizes and good culture. I’m also a huge fan of squirrels, and W&L had the most out of any college I visited.